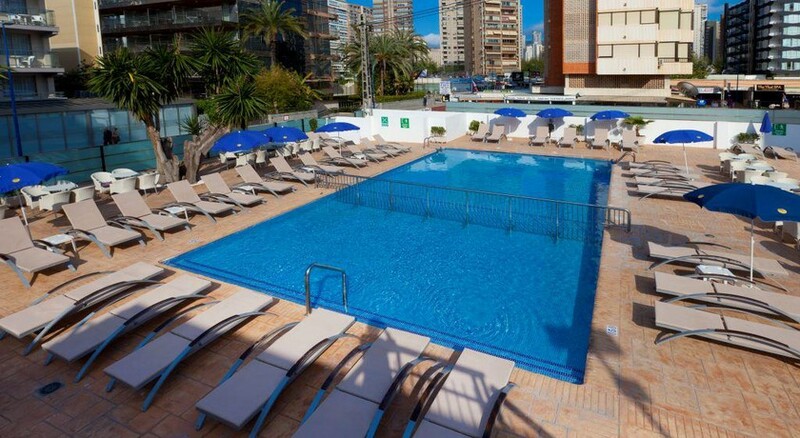 This adult only hotel is located in the centre of lively Benidorm and provides great access to the resort’s popular nightlife scene, as well as a wide range of restaurants, cafes, shops and other main attractions. 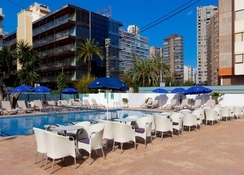 The Hotel Benidorm Centre features a modern design with all the amenities you need for a relaxing stay, which includes an English style pub that showcases live sports, an outdoor swimming pool, live music and evening entertainment, plus a buffet restaurant in addition to a snack bar. 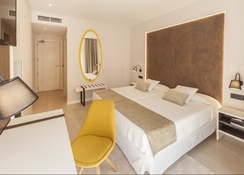 The rooms and suites have a contemporary style and the Hotel Benidorm Centre is particularly popular with couples who want a relaxing break in the sun, while being close to all the main tourist spots in Benidorm. 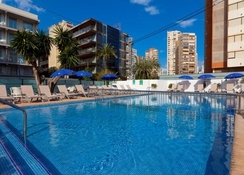 The Hotel Benidorm Centre is right in the heart of the town and is only a short walk away from the popular Levante beach. The Plaza Mayor Square is half a mile away while there is also a casino 700 yards from the hotel too. Mal Pas Beach which is great for watching the sunset is 0.8 miles from the property and there are also numerous golf courses in the area. The Alicante International Airport is 29.4 miles from the hotel. 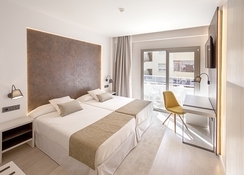 Guests can choose from a Standard Double or Twin Room to stay in at Hotel Benidorm Centre, each designed with comfortable and modern furnishings. All of the rooms have air conditioning, TV, minibar as well as a balcony and room service is also available at this hotel. You will find a buffet style restaurant at the Hotel Benidorm Centre that provides Mediterranean and international dishes. Aside from the main restaurant, there is an English style pub that also serves snacks and has live sports showing, while there is a separate snack bar too. Due to its central location, it’s only a short walk to a wide range of different bars, restaurants and cafes and there is an Indian and Italian restaurant within a few hundred yards of the property if you fancy something different. The hotel has a swimming pool, a pool table, and often provides evening entertainment for its guests. The Levante beach is just a short walk away from the hotel and has a range of exciting watersports on offer for those that like to get active. The hotel is located in the heart of Benidorm, so if you’re visiting for its renowned nightlife then you won’t have far to walk to find a selection of clubs and bars. The Las Rejas Golf Course is 2.2 miles from the hotel while the Villaitana Golf Course is 3.1 miles away. Hotel is close to old town. Street outside is full of lovely cafes. Room was fine, aircon was adequate. Would stay again.